Ever wonder what Imperial Stormtroopers do in their spare time? Inflicting pain and terror, killing Jawas, and keeping the Death Star running in tip-top shape is only what they do while on duty. 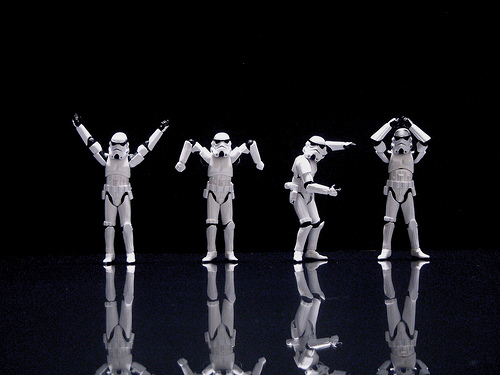 Just like anyone else Stormtroopers like to have fun once they get off work too! One photographer has been exploring the secret life of the Star Wars Stormtrooper and has discovered that dancing, picking flowers, and even playing Pacman are a few of the activities they like to partake in.